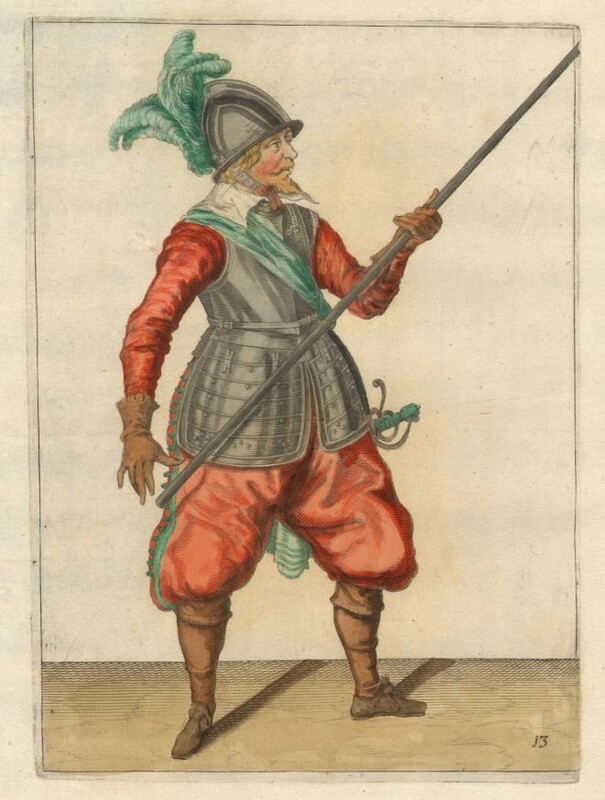 A coloured etching from the famous series of prints by Jacques De Gheyn published in 1607.It and depicts the uniforms, weaponry and the training methods used by the army of the day in the 17th century Netherlands. Jacob de Gheyn's 'Exercise of Armes' was an immense success when first published in 1607. 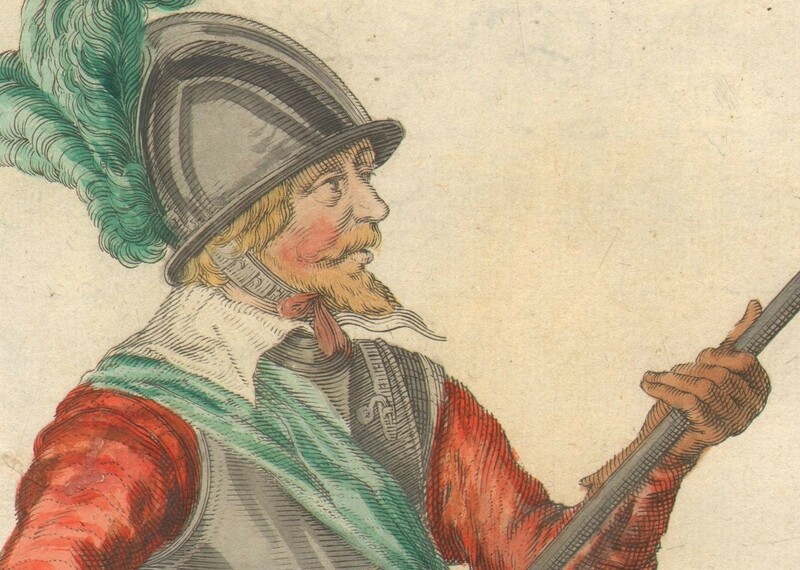 It is a fascinating seventeenth-century military manual, designed to instruct contemporary soldiers how to handle arms effectively, and correctly, and it makes for a unique glimpse into warfare as waged in the Thirty Years War and the English Civil War. 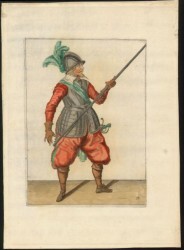 The manual uses illustrations to clearly demonstrate drills for soldiers employing calivers and muskets. It shows how to load and fire, or merely carry, a matchlock piece. 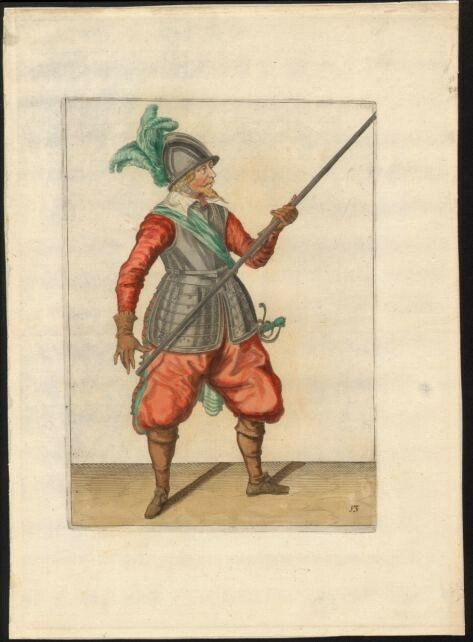 In addition detailed illustrations show the various movements and postures to be adopted during use of the pike. A fine examples of seventeenth-century art. This etching is still in the originale folio sheet measuring 38 by 27 cm. 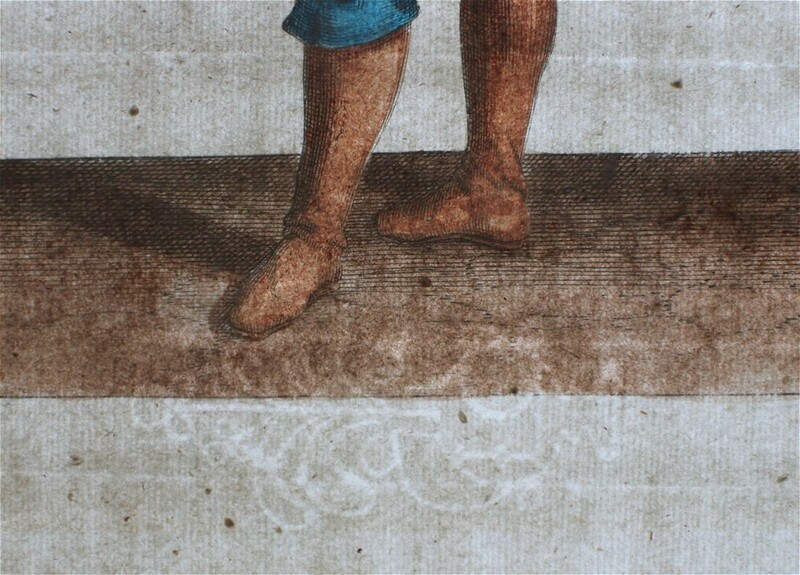 Nice laid paper with elaborate watermark from the period. General very good condition with a small closed wormhole in the top left quadrant. Good impression, nice plate tone, ready for framing.